TP-Link, one of the most popular wireless networking products company has expanded its portfolio of Android products. 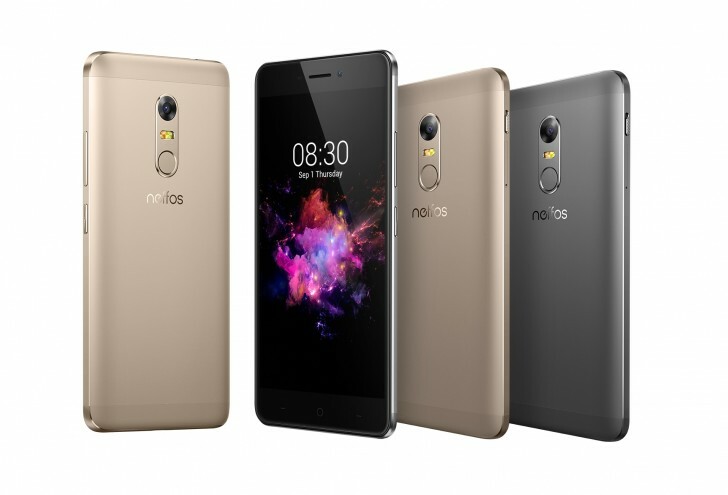 The company had earlier launched three Neffos Android smartphones and now, we have the new Neffos X1 and Neffox X1 Max in the mid-range segment. Both the phones share a lot of common specs and design. Both the phones feature a well-designed metal unibody, with a bare front and a minimalist back. Design wise, the Neffos X1 and X1 Max look extremely good. Starting off with the Neffos X1 first, you get a 5 inch HD display with a pixel density of ~294 PPI. The X1 comes with an octa-core MediaTek Helio P10 processor with Mali T860 GPU, clocked at 1.8 GHz. The Neffos X1 comes in two variants – 2 GB RAM with 16 GB internal storage and 3 GB RAM with 32 GB internal storage, expandable with a microSD card up to 128 GB. Featuring dual SIM support, the Neffos X1 supports LTE as well. In the camera department, you get a 13 MP camera featuring Sony IMX298 sensor and an f/2.0 aperture, phase detection autofocus and dual LED flash. On the front, you get a 5 MP camera. The Neffos X1 comes with a fingerprint sensor and a 2250 mAh battery. Coming to the Neffos X1 Max, you get a 5.5 inch full HD display with a pixel density of ~401 PPI. The X1 Max comes with the same octa-core MediaTek Helio P10 processor with Mali T860 GPU, clocked at 1.8 GHz. The Neffos X1 Max also comes in two variants – 3 GB RAM with 32 GB internal storage and 4 GB RAM with 64 GB internal storage, expandable with a microSD card up to 128 GB. Featuring dual SIM support, the Neffos X1 Max also supports LTE. In the camera department, you get a 13 MP camera featuring Sony IMX298 sensor and an f/2.0 aperture, phase detection autofocus and dual LED flash. On the front, you get a 5 MP camera. The Neffos X1 comes with a fingerprint sensor and a 3000 mAh battery. The Neffos X1 starts at $220, roughly translating to Rs. 14800, while the Neffos X1 Max starts at $280, or roughly Rs. 18500. Both the phones will be available in Q4, 2016.